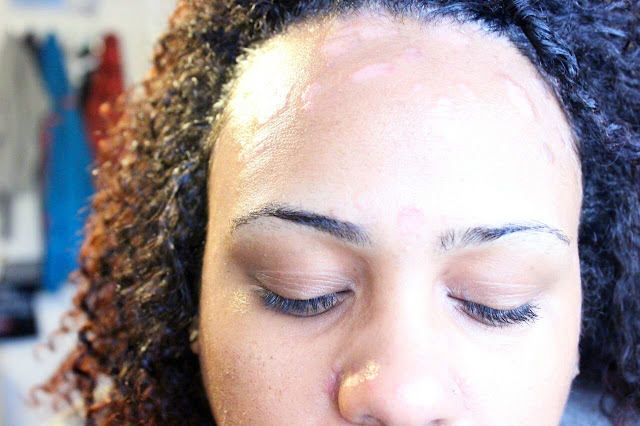 Psoriasis is no new topic for the blog, I've written about it a few times -- especially scalp psoriasis. But what I don't do too often is talk about skincare and psoriasis, because it's a little trickier to manage and so temperamental. So when I find products that work, I must shout it from the mountain tops. 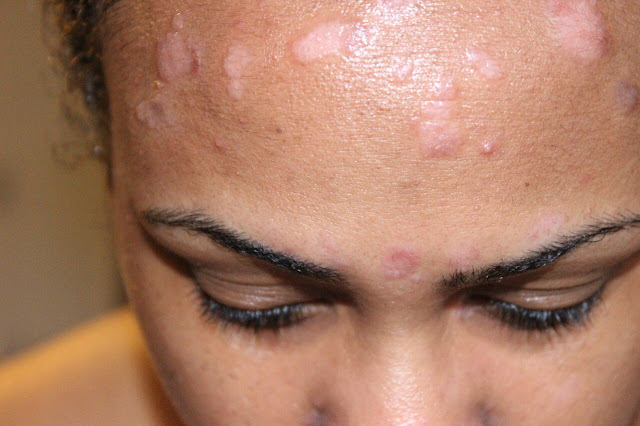 As many psoriasis sufferers can attest to, the skin condition adapts to treatments over time. Therefore, many people with psoriasis find themselves having to switch things up every few months. I initially purchased this face wash because it was a lifetime supply bottle on sale at Sprouts for like $13. I had always been curious about Desert Essence and this was too good of a price point to pass up for the amount. It's the perfect gentle cleanser that packs a purifying punch without drying out the skin. It also does not agitate my psoriasis at all (which is super important in any skincare products). There are no artificial fragrances, no sulfates, and it contains tea tree oil -- which is great for clearing up breakouts too! The only downside to this stuff is that it pretty much smells like tea tree oil (which I don't mind personally, that was more of an FYI) and is super runny. If you're not careful, it will slip between your fingers and down the drain. Other than that, you can't beat the quality and the price! Let. Me. Tell. You. SOMETHING!!!! This mask has changed my life. I love this mask like Kanye loves Kanye, or like people on Instagram love Nutella and bacon. It is EVERYTHING I have ever needed in life and then some. Ashley's Naturals owner Ashley (duh lol) Wilson reached out to me, and just wanted to send me some goodies. I made it a point to inquire about the Pumpkin Mask because it looked so enticing. This mask did NOT disappoint. It looks and smells like pumpkin pie filling (I have to resist tasting it lol), and makes your skin bright and baby smooth after the first use -- and it gets better with time! 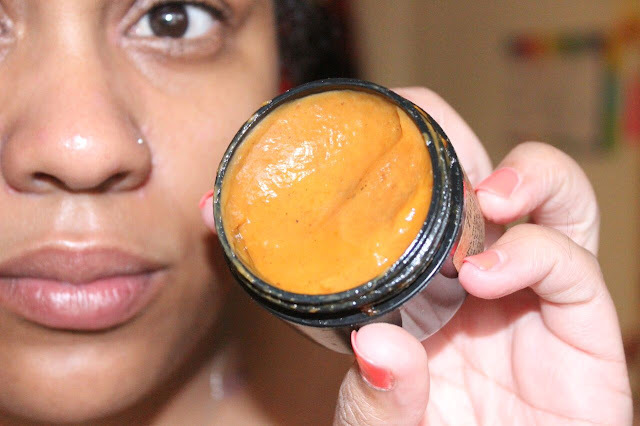 I'm going to dedicate a separate post to reviewing this product specifically -- because I need y'all to understand everything about all the supernatural ingredients in the Pumpkin Mask that will have your skin looking practically flawless. I've also been on a skin serum kick lately for some reason. I've toyed with the idea of creating my own DIY Vitamin C serum, but I got too lost in all the technicalities of solubizing what types of Vitamin C in water. Perusing Sprouts, I caught SKIN by Ann Web serums on clearance for like $8 and was all in! It's a thin, spreadable face serum that doesn't dry out or agitate my face. For me, it intensifies and prolongs all the work that the Pumpkin Mask puts in. I've noticed the number of breakouts on my face has decreased significantly, along with helping to refine my pores and smooth out my complexion. I mentioned this lotion in my empties video, and I'm still rocking with it 100%. It's the best alternative to steroid creams and ointments that are prescription-based. It doesn't clear or make my psoriasis disappear, but it is a critical component of managing it. It soothes inflammation, helps ease flaking, and decreases redness. I'm still looking for the perfect combination of diet, exercise, stress management, and total wellness to help me kick my psoriasis for good. But TriDerma Psoriasis Control Lotion has me off to a good start. In the evenings, I wash my face again with Desert Essence Thoroughly Clean Face Wash. It's mild and effective at removing grime and dirt from the day and working out, without drying my face or irritating my skin. To keep my face moisturized overnight, I use Ashley's Naturals Green Cream. It's thick, but not greasy and perfect for keeping my face from drying out overnight. I also use it on some days where my skin feels especially dry because of the awesome ingredients it has. The standout ingredient for me is hemp seed oil, which is full of fatty acids that soothe and help improve the elasticity of the skin. That last part is super important for anyone with psoriasis or another skin condition, because it helps to prevent cracking and further damaging of the skin. 1 month into my skincare regimen. Not perfect but a lot better!As you can see, my current regimen is really helping my psoriasis. I'm praying and looking forward to the day where I'm 100% psoriasis-free! 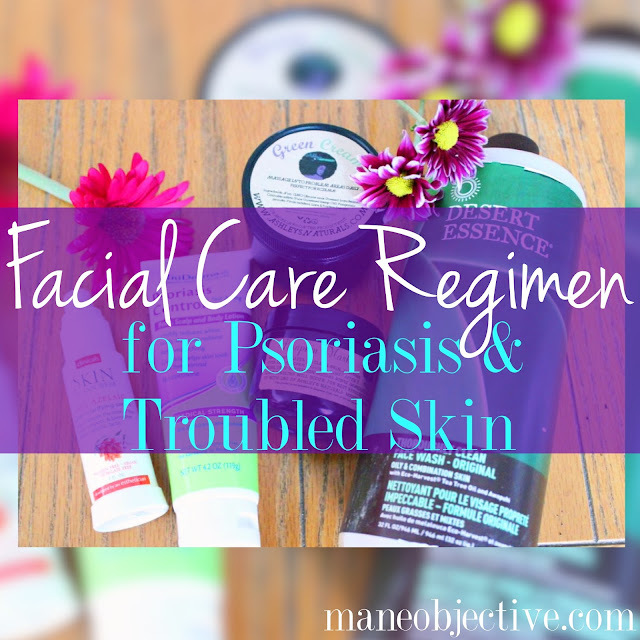 Are you dealing with psoriasis or another skin condition? Share your tips and regimen in the comments below! For more on psoriasis care and tips, click here! If you really want to keep your skin healthy and youthful, you need to establish an effective facial care routine. The face (especially around the eyes) is the first thing people notice about you, and is where all people look when communicating. 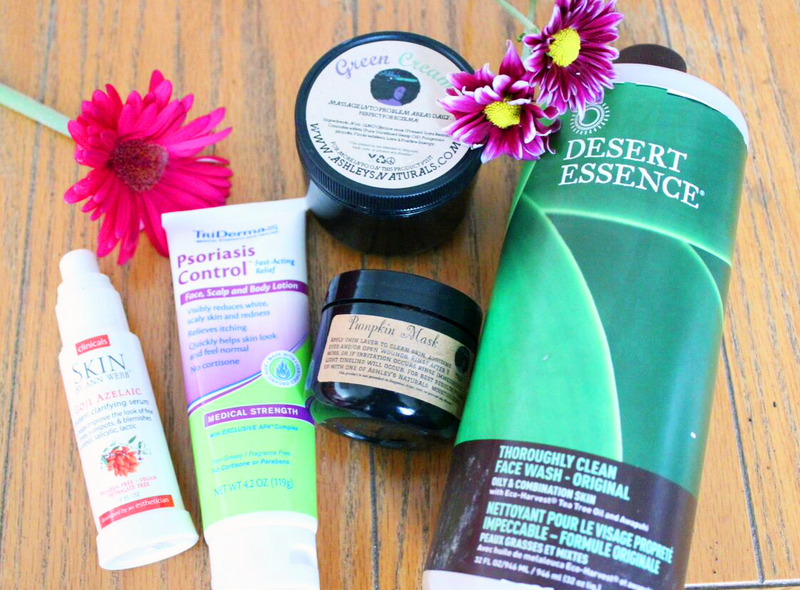 An effective facial care routine really only consists of two steps. Most of the times sensitive skin get inflamated due to the usage of harsh products such as alchohol, deodarant soaps and acids. Apart, from that make sure that you buy or wear should have a good texture of the fabric. If possible avoid wool and mohair. Ashley's Naturals Pumpkin Mask is now closed and will be reopening sometime next month. Do you have a second favorite? Or another suggestion to hold me over until she reopens? I meant the company,obviously. Lol sorry I wasn't thinking. If you have wrinkles on your face then you can prefer for the wrinkle creams and can also try home remedies.